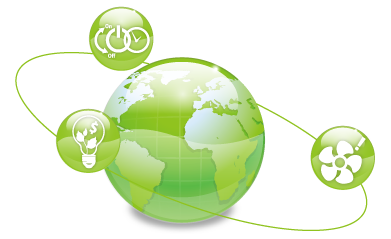 QNAP Turbo NAS features green technology to help businesses lower energy consumption and effectively extend the life span of hard drives. Those eco-friendly designs include hard drive standby mode, scheduled power on/off service, smart fan and Wake on LAN. There are peak hours and off-peak hours in typical business environments. 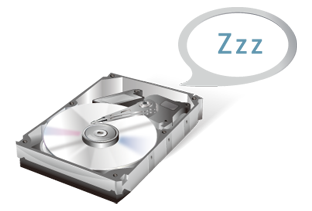 Proper configurations of the system hard drive running mode will help save energy bills and extend the hard drive lifespan. To achieve this, IT administrators can configure the hard disks to enter standby mode if there is no disk access within the specified period. There might be occasions when the Turbo NAS is left free from usage in the business environments. The Turbo NAS offers scheduled power on/off feature that allows IT administrators to manage the system up time according to the working hours. IT administrators can set up the time to automatically power on, power off, or restart the Turbo NAS on any day of the week, bringing in more convenience and effectively saving the energy. The Turbo NAS provides flexible ways to configure system fan speed. 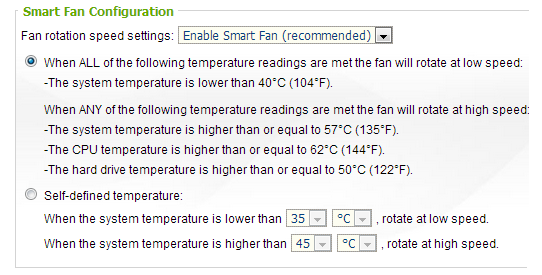 IT administrators can choose to manually set the system fan at low, medium, or high speed, or enable the “Smart Fan” feature to access more sophisticated options, including a recommended option that automatically adjusts the fan at low and high speeds based on system pre-defined criterion, or a manual option that allows IT administrators to specify the system temperatures at which the fan stops, spins at low speed, or spins at high speed, balancing between system cooling and system noise levels as well as saving each tiny amount of expense on energy. 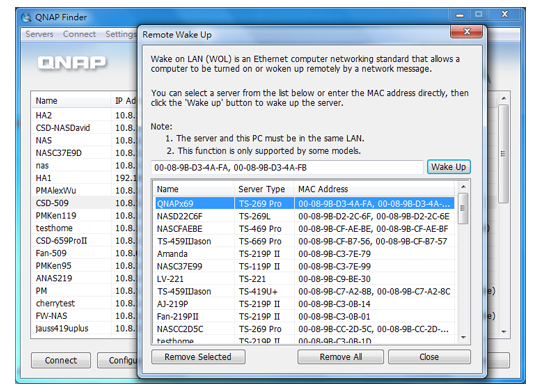 With Wake on LAN, the Turbo NAS can be remotely turned on by QNAP Finder or any 3rd party apps that support Wake on LAN. 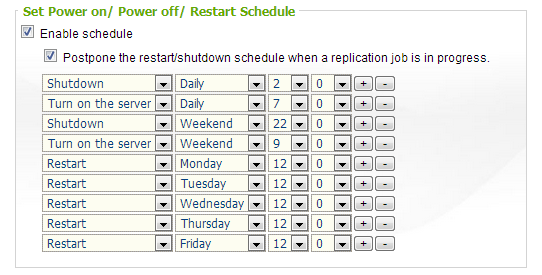 IT administrators do not have to walk across a large office area just to turn on the Turbo NAS.